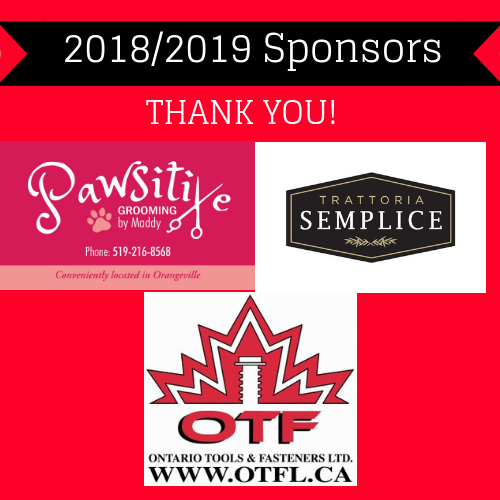 A thank you to our sponsors for the 2018/2018 season! Interested in being a sponsor? Email us and we will send you our sponsorship package.